You’re looking for someone to help you with your garage door. That’s why you’re here, right? You need help and you want experts to respond, not only quickly, but without overcharging you for their efforts afterward. Stop us if you disagree. That’s the common thing people are looking for when their door breaks or stops opening/closing. Cheap garage door service that is only cheap in terms of service rates and not in terms of actual quality the work. With us, you get exactly that. High quality for a low price. So What Should You Get From Garage Door Services? Ideally, everything you want. Whether it’s low price points, fast response time, or thoroughness of service. Realistically, it can be hard to get all that in one spot. Hopefully, you’ll see that Garage Door Repair Minneapolis aims to be the exception that proves the rule. Affordable rates – you won’t find yourself reaching for the proverbial piggybank with us, and our service call fee gets deducted from any work that’s done. Same day service – meaning, you won’t have to stand there staring at the horizon waiting for our service technicians to arrive like you were waiting for the mail coach in the old west. Reliable work – any hardware part our technicians replace or repair will last for a long time and won’t just break off a week later. Seven days a week – garage doors don’t stop breaking down on the Lord’s Day, which is why Garage Door Repair Minneapolis offers its services Sunday through Saturday. Servicing both types of springs – whether your door uses a pair of extension cords or torsion springs, our technicians have plenty of knowledge and experience repairing and replacing both types. 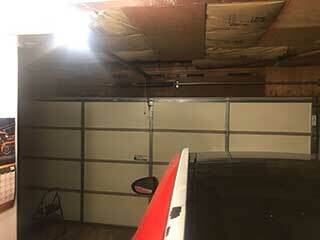 Automatic opener repairs and troubleshooting – your automatic garage door starts exhibiting signs of self-awareness? By which we mean, it’s starting to move on its own or refuses to open or close when you tell it to. If that’s the case, our opener troubleshooting experts will find and fix the problem, lickety-split. Opener replacement and upgrades – alternatively, if it’s an upgrade you’re interested in, that’s a very viable service avenue. Have us help you choose from between all the different models from all the major brands. From LiftMaster chain drive units to Genie’s ultra-silent belts models and Chamberlain’s latest innovations. You may not want a completely new automatic garage door opener, but are simply considering to upgrade to some modern features. Well, whether it’s’ a wireless keypad a backup battery system or some smartphone control options, you’ll get the advice and the service you want from us. Don’t just take our word for it. 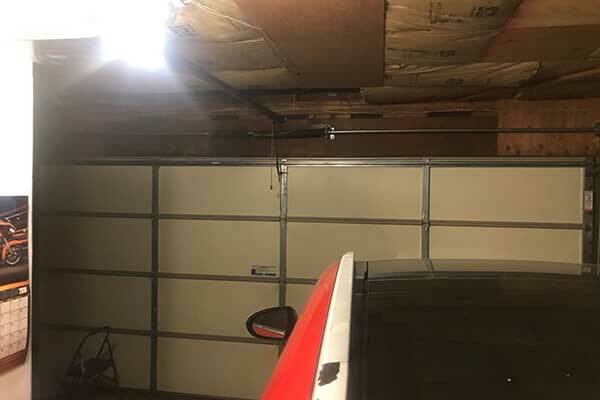 If you’re in need of assistance because some part of your garage door got damaged, or the system stopped moving normally, get in touch with us to get the expert help you deserve. Garage Door Repair Minneapolis is always here to help.